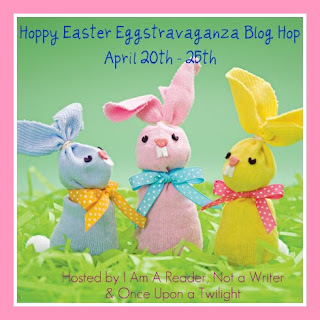 Thank you to I Am a Reader, Not a Writer and Once Upon a Twilight for hosting this blog hop! A photo, an idea, and simple crafting skills are all you need to transform your pictures into useful, fun, giftable art. 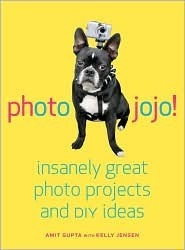 With clear DIY instructions, Photojojo! by Amit Gupta and Kelly Jensen shows you how to turn your forgotten photos into ingenious photo projects. Do you have lots of pics of friends and family you want to show off? Make a sleek, stylish photo display rail so you can change them up at a moment’s notice. Need something to play with? Make photo slider puzzles, Rubik’s cubes, and temporary tattoos. Or spruce up your pad with a photo chandelier or a giant wall mural you can print at home! All the projects use basic materials and are easy enough to whip up in an afternoon. Once you’re armed with what you can do with all your images, check out Photojojo’s inspiring ideas to get you shooting photographs more creatively. Investigate the world from a canine perspective with the amazing doggie cam, or grab your friends and head out on a photo safari. Make a sneaky hidden jacket camera and turn string, a washer, and a screw into a monopod that fits in your pocket, MacGyver-style. Learn how to motivate yourself to take a photo every day with project 365, or get the little ones involved with Photojojo’s head-spinning photography method: because you + kid + centrifugal force = awesome. Yep, photography just became a whole lot more fun. My favorite Easter candy is Cadbury Mini eggs. I could eat a whole bag of those in one sitting, which is strange because I'm normally not a big fan of chocolate. And I'm not a fan of chocolate, either! It's weird, because everytime I tell this to one of my friends, they give me a bug-eyed look. I love the smuckers jellybeans when I can find them. SO GOOD!! My favorite Easter candy is Cadbury Chocolate Caramel Eggs. I look forward to buying them every year. Yummy! i love the peeps as well... even though they are all sugar.. suger is GOOD! Hi, i'm a new follower to your lovely blog. I am with you on the Cadbury Mini Eggs. They are so yummy! I think part of their appeal is that they're only available once a year. Enjoy the Hop. Thanks for the giveaway. My favorite is cadburry mini eggs as well. Thanks for the giveaway. 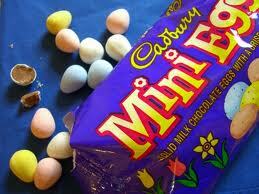 My all time favorite candy is the Mini Eggs. Sugary sweet candy shell, melt in your mouth chocolate,mmmm, OMG Now I have to go buy some! Happy Easter, following :). I love peeps! Now there are many different colors that are so much fun! Yummmmm Reeses peanut butter eggs...om nom nom! Reese's peanut butter eggs...the big ones! Can't open a pack in my house without a mob growing! Reese's Peanut Butter eggs are my favorite though Cadbury mini eggs run them a close second. I love the Reese's peanut butter cup egg!! Oh I could eat them all!! I would love to win this giveaway. I am a new GFC follower of your site. Thank you so much for hosting this giveaway. OK -- Now for my answer: Dove's Dark Chocolate Pieces! I love the regular cadbury creme eggs. I buy at least 2 packages every year! My fave Easter Candy is Sweettart Chicks, Ducks and BUnnies...they are the best sweettarts..better than any other holiday..funny, but true! I love those cadbury creme eggs. The big ones. :) Thanks for the chance to win. I love the Cadbury orange creme eggs. I have to agree with you. My favorite Easter candies are Cadbury mini eggs and Cadbury creme eggs. Mine are peeps. But I like them to be a little hard, so I will open the package and eat them the next day. My favorite candy is M&Ms, so my favorite Easter candy is the M&Ms in the Easter colors! My favorite has always been Cadbury Cream Eggs - I get happy each spring when they arrive in the stores. Cadbury Cream Eggs just scream Easter...I also really love reece's though. Peanut butter filled Easter eggs! This looks like a great book - thanks! OMG I love Dove dark chocolate eggs. I am sadly addicted. I just became a follower. I too am a teacher, a foodie, a bibliophile and a book blogger. Thanks for the contest. I like Cadbury Caramel eggs and also love jelly beans. Ooooo, I have so many favorites. But I have to say that the Reese's Peanut Butter Eggs are my favorite. I love chocolate bunnies! They're so cute and yummy! Definitely the Cadbury Mini Eggs for me. But I do like the creme and carmel filled large ones too. Defnitely Cadbury Cream Eggs -- but ummmmm...I'm going to have to go find some of those Mini Eggs.....My mouth just started watering!!!! I LOVE Reese's peanut butter eggs...OH God they are soooooo good....and so bad at the same time. Peeps! I only like the yellow chicks! lol. Thank you for the opportunity. I enjoy Russell Stover's Dark Chocolate coconut creme eggs, & have those only at Easter if we can find them, & of course, Peeps! I love the Easter candy corn! I think I'm one of the only people in the world past the age of 12 who loves candy corn, but I really do! my favorite Easter candy would be a toss up between peeps and the Reeses eggs. I love Hersey's eggs - I gave up chocolate for lent cant wait for Sunday@! Cadbury is really good...well any kind of chocolate is. I love Peeps too! Yum, I'm hungry now. Thanks for the giveaway. It has to be a peep...bunny, chick, doesn't matter...the color is whatever fits my whimsy or what's available...this is the only time I indulge in such a sugar explosion. I love reese peanut butter cup candy. I love chocolate with peanut butter!! I love Cadbury eggs and malted easter eggs, those are my favorites. The Cadbury Mini Eggs are also my favorite. But I also love Reese's Peanut Butter Eggs. Thanks! My favorite is peanut butter eggs. Thanks for the giveaway! Happy Easter! It wouldn't be Easter without Starburst JellyBeans, Reese's PB Eggs, and Cadbury Cream Eggs! That would make my Easter basket oh-so-happy! I have to have jelly beans, and marshmallow peeps, and chocolate eggs! GFC DanceAlert. my favorite easter candy is the marshmellow eggs that walmart sells I dont know why but they are the most delicious and i wait for them all year. I hope you will stop by my blog Readerbuzz and enter my giveaway to win a box of 15 brand new fiction ARCs or a $25 Amazon gift card! My favorite Easter candy is the malted milk specaled(spell??) eggs. My favorite candy is the solid milk chocolate. pls enter me, a gfc follower. I love the Dove Chocolate Eggs! I love Dove year round and could eat like a whole bag at once! I love the Reece's Peantur Butter eggs. Seriously made of awesome. My favorite Easter candy happens to be the spiced jelly beans. My favorite is Cadbury Creme Eggs - I buy some everytime I go to the start during the season - that way I have them even after they are gone from the shelves! My favorite Easter candy is Reese's Peanut Butter Eggs because I LOVE Reese's Peanut Butter Cups :) *Thanks* for the giveaway! I love the sour patch jelly beans. They are a perfect combination of sweet and sour. I hate peeps! But I LOVE LOVE LOVE Cadbury eggs and reese's peanut butter eggs!!! As long as it involves chocolate, I'm in. I like Reese's peanut butter eggs. BTW I already follow via GFC (Bornajhawk). My favorite of all Easter candies is the peanut butter eggs my boyfriend's aunt gives us every year. The ladies at her church make them and they are heavenly! I look forward to getting them every year!